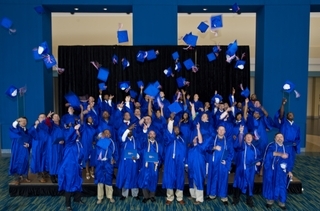 PASCAGOULA, Miss., July 1, 2013 (GLOBE NEWSWIRE) -- Huntington Ingalls Industries (NYSE:HII) held graduation ceremonies for Ingalls Shipbuilding's Apprentice School on Saturday. The ceremony, held at the Mississippi Gulf Coast Convention Center, celebrated the accomplishments of 60 students representing Ingalls' various crafts. Mississippi Secretary of State Delbert Hosemann was the keynote speaker and acknowledged the graduates' commitments. "In addition to the commitments you've made to Mississippi, Ingalls and your families, Mississippi has made a commitment to you," he said. "The Haley Reeves Barbour Maritime Training Academy is opening soon. This is a commitment to you and our future graduates and will be used in training our workforce to make things in Mississippi. Whether it's building ships for the U.S. Navy, testing rockets or building cars, we make a lot of things in Mississippi. You are an integral part of that, and the work you do is really important. You should be very proud of what you have accomplished today." Ingalls' Apprentice Program involves a comprehensive two- to four-year curriculum for students interested in shipbuilding careers. Since 1952, the Apprentice School has produced more than 4,000 graduates in support of Ingalls' operational needs. "With the hard work and commitment you've demonstrated by completing this program, you've shown us all that you are invested in your career and this company, and you've shown us that you are leaders," said Ingalls Shipbuilding President Irwin F. Edenzon. "Leaders shout out loud when they see us making a wrong turn or when they see someone else having a problem. Leaders ask when they don't know. Leaders don't let others do wrong without stepping up to make sure we make it right. Leaders make good ideas happen. 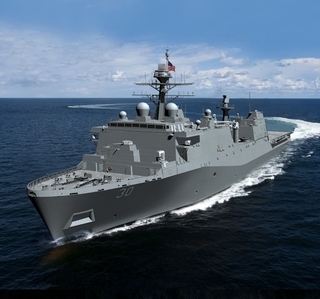 And leaders at Ingalls Shipbuilding are everywhere. So congratulations, you have earned this. 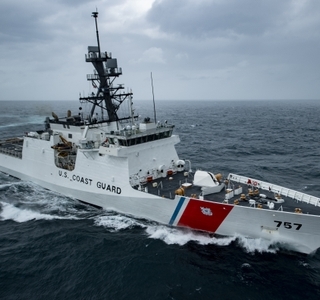 And thanks for all you do to build great ships." More than 60 faculty and staff teach 14 different programs and more than 60 course offerings that enable apprentices to gain not only the skills, knowledge and pride of workmanship, but also the educational foundation and personal qualities needed to fully meet the challenges of a shipbuilding career. Today, more than 1,000 alumni of the school fill approximately 50 different types of jobs—from pipe welders to senior executives. Pipefitter Jeffrey Mowrey of St. Martin was the Outstanding Apprentice of the Year with a 99.21 grade point average. Mowrey noted he had "big shoes to fill" as he follows his father, Eugene, who was a Master Shipbuilder, working at Ingalls for 41 years. "I guess you could say I had shipbuilding in my blood," he said.